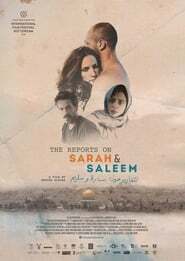 “The Reports on Saleem and Sarah” screened from January 24 to the February 4 at the International Film Festival Rotterdam (IFFR), as it was the international Niet Schieten premier for Muayad Alayan’s Film. The film and the director have been nominated for two of the 2018 awards at the (IFFR), including the Hivos Tiger film award awarded to upcoming talents in film direction. I am Vengeance The film was nominated for the latter along with other seven movies that the jury believed worth the nomination. The second award that the film has been nominated to is the KNF award, which is given by The Circle of Dutch Film Journalists to a Dutch production or Dutch co-production. Heilstätten “The Reports on Saleem and Sarah” has also been nominated for that award for the existence of the KEYFilm Dutch production company as a co-producer of the film, along with two other companies from Germany and Mexico. After much waiting, that we have read criticism from the United States for months and that our expectation has grown to unsuspected limits, finally comes ‘Love, Simon’ to our country….